Step into summer with this deliciously light and healthy Hawaiian inspired recipe. It’s so simple and quick to make, and what’s more, it’s good for you! Cook the sushi rice according to packet instructions. Set aside to cool. Place the radishes in a bowl and toss with the red wine vinegar and caster sugar. Set aside. To make the dressing, mix all ingredients together and set aside. To assemble, divide the sushi rice between two bowls. 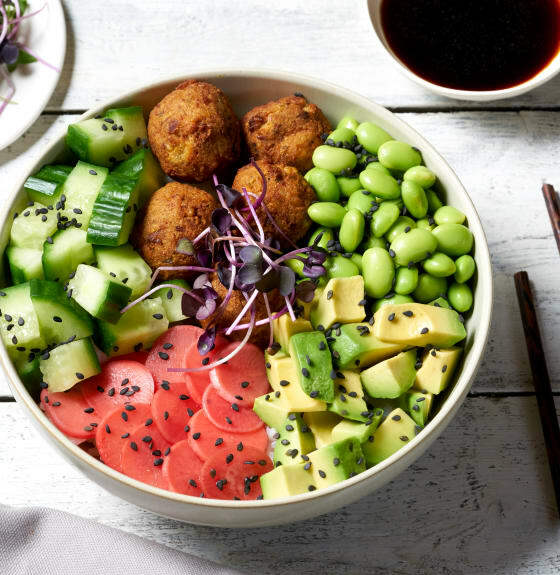 Create sections to cover the rice with the falafels, avocado, cucumber, edamame beans and pickled radishes. 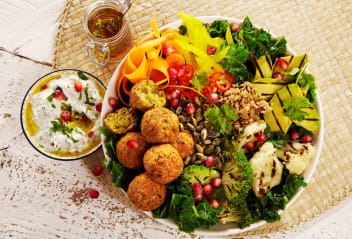 Drizzle with the dressing and garnish with black sesame seeds and micro herbs. 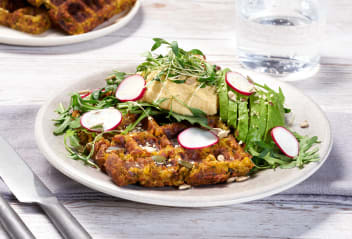 Jump on the waffle bandwagon with these delightful Scandi falafel waffles. 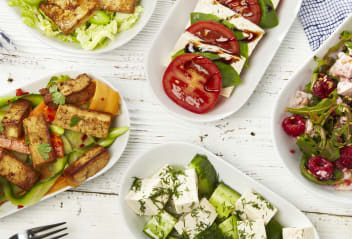 They’re vegan and topped with salad and hummus, making them the ideal healthy brunch.